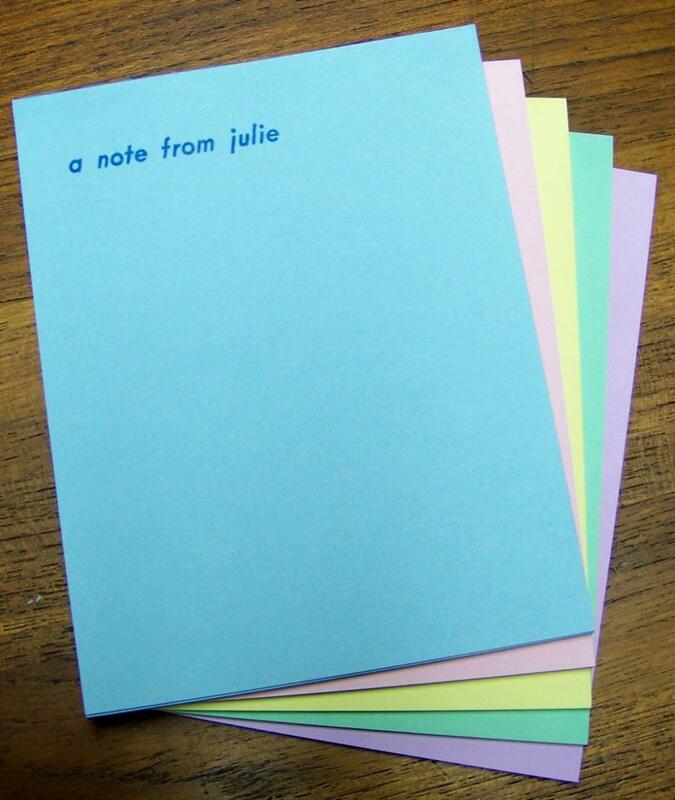 Warm pastel colored note pads, 4-1/4 x 5-1/2 inches for making all your short notations, 100 sheets per pad. Letterpress printed with one line of type of not more than 25 characters (unless otherwise specified for your selected type style). Assorted colors only, no accented letters, and all sheets must be printed identically. Printed in your choice of one of the illustrated Memo Pad type styles and padded on the top. Please enter the copy you would like printed below. Please note the relative sizes of the type styles, they are displayed proportionally onscreen. The point sizes and font names are given on the images as well. Please limit your copy to one line in the number of characters or less as specified for your selected type style, no accented letters.